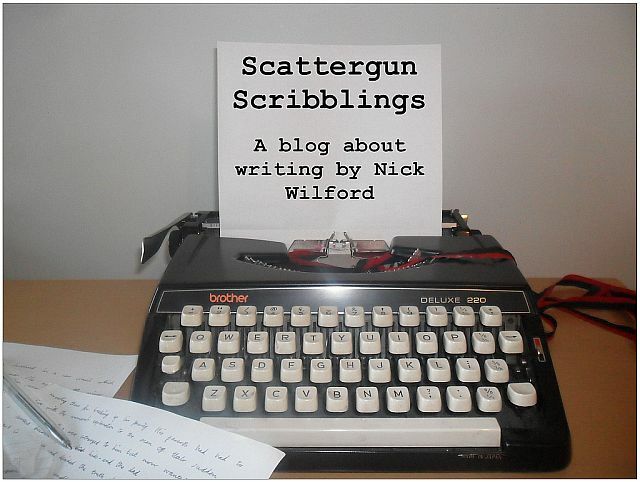 Today’s Special Challenge Participant Feature is Nick Wilford from Scattergun Scribblings! His Challenge theme was “26 Things that Made Me a Writer.” There was a lot of inspiration in his posts, and he’s here to share some of that with you today. 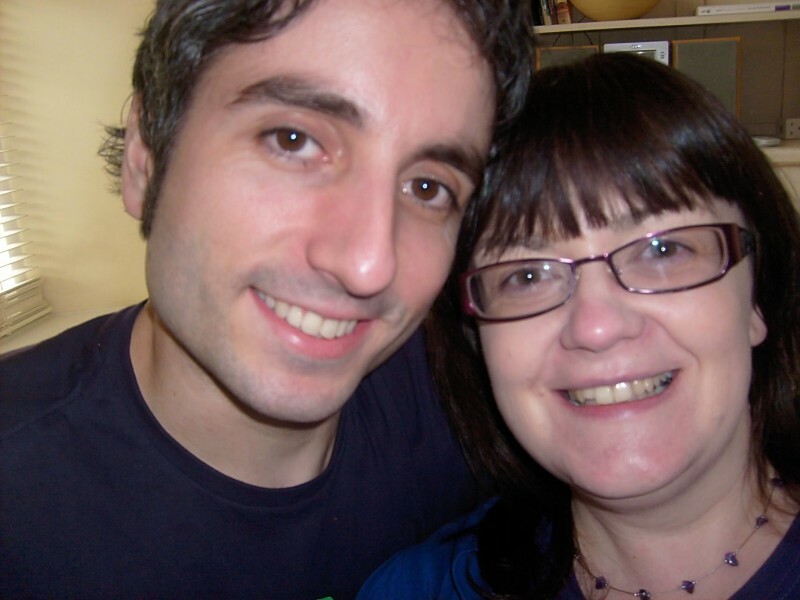 So please welcome my blogger buddy, Nick! What made you decide on your theme? I was casting around for an idea, and I'm kind of always fascinated by the make-up of writers - not necessarily things that caused them to become a writer, but maybe things in their past they draw special inspiration from. So I made a list of 26 things that inspired me or helped me to grow as a writer. Some of the things seemed a bit random, so I tried to liken them to writing in some way! It's not essential for a writer to be well travelled as I believe you can go anywhere in the universe in your imagination, but there's definitely loads of inspiration to be drawn from seeing different cultures and ways of looking at the world. It can open your mind up, especially if, like me, you come from somewhere like southern England - we can tend to be quite insular! I really credit my round-the-world trip at 21 as a massive turning point for me, as it was when I decided to pursue writing as a career - initially in the form of journalism, but having trained in that, my first book was about a journalist, so one thing led to another. Your choice for K was unique! Describe it for everyone. Ha! This was the post that I really felt was the most tenuous - I decided to compare writing to kiteflying. 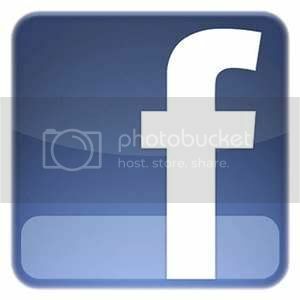 I was glad when a lot of people responded with positive comments and likening their writing to their own hobbies. I think at this point, I was out of pre-written posts and was writing them the night before or the day of... so this was a bit last-minute, but after the comments, I felt the analogy did work. Amazing things can happen in the blue sky of our writing if we pull the strings just right! “I” was for immortality – how DO you want to be remembered? You're really grilling me on these! I'm having to go back to refamiliarise myself with what I wrote. There is a certain attractive kind of immortality that comes along with writing, as it's possible your stories could still be enjoyed hundreds or thousands of years after your death. But in terms of how I want to be remembered as a person, to the people that matter right now, I'd hope it would just be as someone who tried to do their best - whether as a writer, husband, dad, possibly a grandad... That's all you can do! “B is for Balls!” You definitely have to tell us about that one. Erm, OK! Well, I guess what I was trying to say is that it takes guts to go after anything in life. Especially if it's something that's very personal to you, and you're putting yourself up for criticism. So, that could apply to a musician too, for example. Luckily, so far, everyone I've met in the blogosphere has been very nice! It was also about having the balls to try something even if your first book doesn't turn out to be perfect. You shouldn't be disappointed in yourself, you should treat everything as a learning process. That's a tough one! I have to go back and read what I said here too. Hmm... I'd like to think my voice is easy to read, although I do have to work hard at not being too long-winded. It's a funny thing because I don't think your basic voice changes that much even if you write in different genres. It's just sort of "there", and it's very hard to describe your own! I'd like to think my voice leans towards good characterisation and evokes a reaction. Writing something in first person might challenge me more in that area. I hadn't thought about it too much until I read this question! For a while, I did consider doing an A-Z of the 90s, because a buddy of mine, Susan Oloier, did the 80s this year which I enjoyed. I was born in 1980, so the 90s holds more resonance for me. But then after the image copyright debacle I thought getting the images might be tricky, and there's been a 90s blogfest recently. I then thought about doing something more creative and decided that I'd like to make a story. Another friend, Jessica Salyer, composed a story by setting a word for each day which commenters had to use in a sentence to continue the story. I'd like to flip that by getting commenters to suggest a word for the next day's letter, which I would choose from at random to use in the next sentence of my story. Maybe I'd select three for an even greater challenge! It'd be interesting to see where that would go. Thank you Nick for appearing here! I always love seeing into the mind of other writers. Great post today. It does take guts to put your work out there in front of others. I have to start thinking about my theme for next year. It's coming up fast! Hi Nick and Alex - great posting .. I love reading where people started their writing lives ... and what creates their A - Z ... the story line sounds fun .. 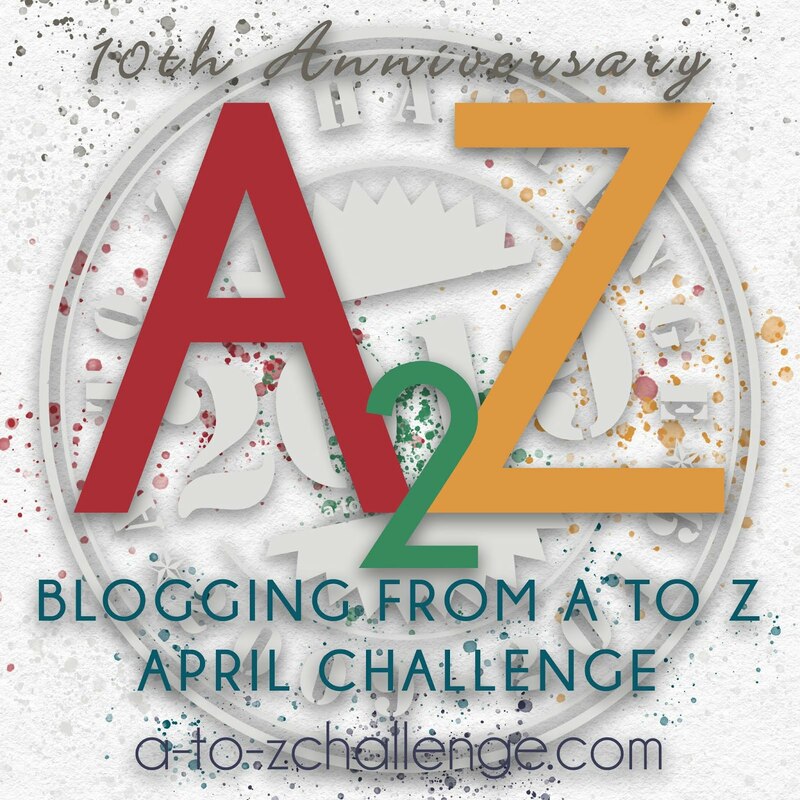 I love the A - Z through April .. must write mine up early for the 2013 challenge .. I enjoyed the interview! It certainly does take balls to put yourself out there and open yourself up to criticism! Good luck with everything you do! Great interview! I think globe-trotting can definitely open up a writer's imagination. Your idea for next year's challenge sounds like fun. Interesting theme for the challenge and a great take on the more difficult letters. Nice interview, Nick. I may have to go back and check out some of those entries! I will have to visit and go back and see all that I missed! Alex - No problem, it was a pleasure! Kathy - It'll be here before we know it! Candilynn - Glad you like the analogy - like I said in the post, I wasn't sure about it, but it's gone down well! Hilary - I'm sure you will come up with something fascinating. I loved your castle series. Sherry - It does! Luckily, everyone I've met has been kind. Thanks! Tyrean - Thanks! I still enjoy going to different places with the family. Jeff - Thank you! Hope you enjoy them. I love these features, Alex. Nick - thanks for being with us! I'd say your voice is honest, open, and has a great sense of humor. Great interview, travel is a brilliant way to stimulate our imagination and give us food for thought. These were great questions which makes for a awesome interview. I like the 90's theme. That will be cool. Great interview! 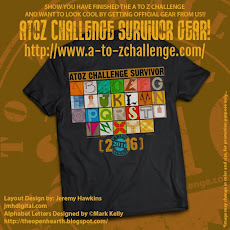 I missed A to Z this year and this has got me thinking about 2013. Thanks, Alex and Nick! Thank you Nick. Also welcome to our blogging community. I am now beginning to believe that we do leave a legacy when we write. I may not write anything big, but still when I die, my kids might be able to understand what my mind was like and if they listen to what I had to say they might contribute something good to the society. Alex - thanks for the interview. That was a great idea for A to Z. Great to get to know Nick better. Thanks everyone for turning out to support Nick! B is for Balls. I'm putting that on my bathroom mirror! LOL. It's a great reminder that sometimes we just have to go for it. Great interview! Tina - Aw, thanks for your kind words. They made me smile! Suzanne - Thanks! I certainly recommend it. Mina - Thanks! Oops, I discarded the 90s theme and I'm going for a story based on words contributed by readers. But I hope someone else does it. Ellie - No problem! Hope you'll take part. Munir - Hopefully my kids will read my stuff at some point, even if it's when I'm dead! I like the idea of leaving a legacy - making a certain difference to the world even if just in a tiny way. I'm still trying to find a theme for next year too. I'd like to stay with something similar, but a fresh theme may be in order. Good luck with yours! Excellent interview guys! Next year? I'm still hung up on next week. Awww, Nick...thank for the shout-out. 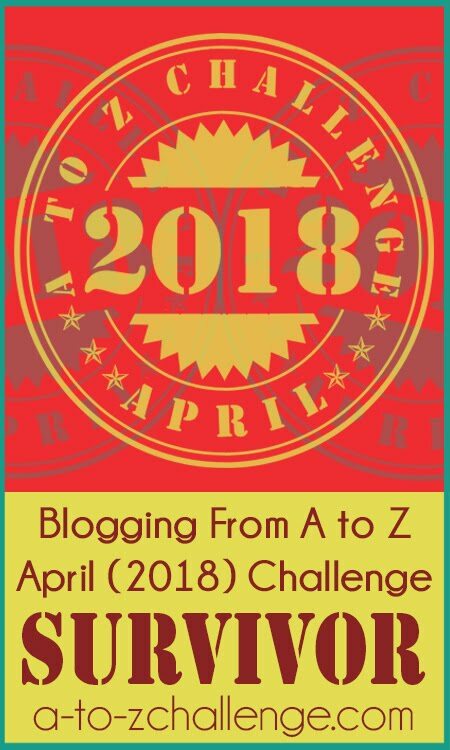 I am so glad I met you through the A to Z Challenge. Your blog is one of my must-visit ones! I love what you said about immortality: leaving your mark hundred of years from now, but most especially how you'll be remembered by those who love you now. You're such a phenomenal guy! Great interview! 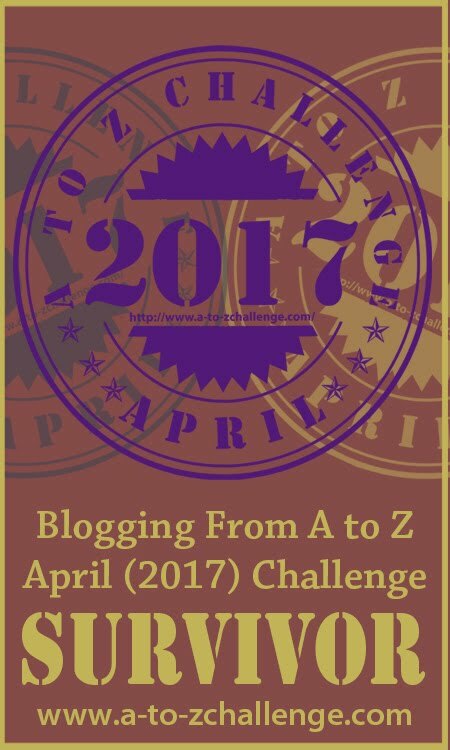 Love this idea for the A to Z Challenge. Thanks for sharing with us! Great interview, Nick! It's always interesting to see what stuff people come up with when they revisit previous decades. 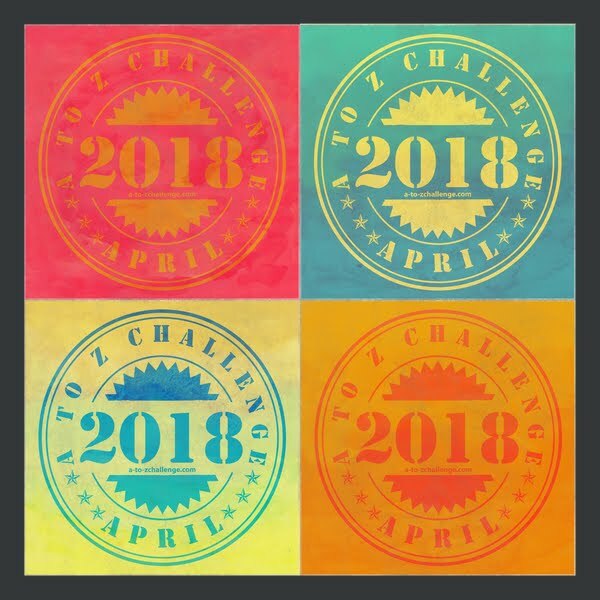 So if you end up doing the '90s for next year's A to Z Challenge, I'd be quite curious to see your interpretation of those years.